It happened to be a sunny summer day the last time I rode a horse, and I was an Indian then. I lived in Boulder, Colorado with my oldest brother and his family. Walter was a lawyer at the Native American Rights Fund, and when NARF celebrated its tenth anniversary in July 1980, I took part in some of the doings. For their staff party, they rented a place in the mountains near Estes Park. A bus pulled up behind NARF and a bunch of us boarded it one morning. I sat down in the bus and I looked out of the window at my cousin, Bryce Wildcat. Arriving in the mountains, Floyd Westerman played his guitar and sang into a microphone, his songs booming through listening evergreens. It might have been a dude ranch of some kind. I guess it was, because they had horses and all day NARFers mounted those horses and rode up a disappearing trail into the pine trees. I think back to picture the people. Let’s see. Becky, Rose, Beanie, Ava, Mary, Sara, my sister Debbie – there might have been fifty or sixty people. We sat at some picnic tables and listened to Floyd Westerman, and we ate hot dogs and hamburgers and someone at my table mentioned the trail ride. I hadn’t ridden a horse since the mid-1960s. I guess it sounded fun. It might have been mid-afternoon when I took a turn. A dozen of us headed up the trail, following a young cowboy. As I saw things in those days, he was a white cowboy. He wore a cowboy hat and he didn’t say much to the Indians riding along behind him. That’s how I saw things then. We didn’t get far before I began to feel sorry for that horse. It seemed tired and terribly bored. And I wasn’t a person to that horse – I was just another job to get done. It would do the job, sure, but it had long since ceased to have anything like fun. By the time I swung into the saddle, my horse had already trekked up & down the trail three or four times and it couldn’t wait for that day to end. And when it pondered this outcome, its fate, what would happen next? Another day exactly like this one? In the way the horse’s ears twitched, I thought I sensed a vague kind of despair about the future as it bore me into the mountains that afternoon. And setting down this account of those days, I suddenly wonder something. I pause to consider the unknown history of that weary horse in the sunny summer mountains surrounding Estes Park, Colorado, when I was an Indian. Could it have been descended from horses my Pawnee ancestors rode long ago? Europeans had a light cultural touch upon the Pawnees before the 19th century, but it was a very real influence. Archaeological evidence tends to indicate that items like kettles, guns, and knives became widely adopted throughout the Pawnee homeland by the mid-1700s. These artifacts, however, came with few ideological attachments. In terms of cultural notions, the concepts of race eventually had a big impact on the Pawnees, but the early drifting elements of European and American ideas about human diversity that gradually coalesced into race probably didn’t mean much to most Pawnees until after about 1790. In one area of social and cultural evolution, however, the European presence in North America had a profound impact upon the Pawnee people. Horses appeared in the Pawnee homeland, and the arrival of horses reshaped Pawnee lifeways during the second half of the 17th century. Pawnee traditions about the origins of horses contain a few shared assumptions. First, the stories say that the Pawnees had no knowledge of horses, but it is reasonable to presume that a growing number of Pawnees encountered horses in their travels among neighboring communities, and a variety of incidents in the 16th century and 17th century can be spoken of as “first” encounters with horses. Second, when horses became recognized as useful companions, they got adopted very swiftly into Pawnee lifeways, probably in only a single generation during the late 17th century. Finally, horses brought change to Pawnee society, not only in terms of social and economic arrangements, but also in the form of new ceremonies and spiritual experiences. Pawnee oral traditions about early horse encounters do not associate the coming of European material culture or cultural ideology with the coming of the horse. Horses appeared in the Pawnee world in a significant way well before Europeans themselves did. Recognizing in horses new lifestyle possibilities, the Pawnee people took it upon themselves to reconfigure their lifeways and to create new ceremonial and spiritual meanings around horses. These meanings are suggested in the various Pawnee oral traditions that endured into the 19th century and 20th century. Upon the grassy prairies of the Land of the Three Rivers, near the shores of the Dirty Water River, the Little Kitkahahki appeared in history. They founded an earthlodge city on the south side of the river, not far before the waterway bends down into what is now Kansas. It isn’t known exactly when this city arose, but it must have happened sometime around 1780. The ruins of this Pawnee city in southern Nebraska became known in the early twentieth century as the Hill site (25WT1). It is situated on a terrace overlooking the Dirty Water River bottoms. The terrace stretches below a long sweeping hill, bounded by a draw on the east and a small creek on the west. On various hilltops around the city, the Pawnee residents buried their dead. The history of the Little Kitkahahki is not entirely clear, but it is possible that this city is where the Little Kitkahahki originated as an identifiable segment of Kitkahahki society. These Pawnees, the Kitkahahkiripacki or Little Kitkahahki – and all the Kitkahahkis – soon became known among the Americans as the Republican Pawnees. Referring to the American and the French revolutions, the Black Head traders from St. Louis dubbed these Pawnees with this name, and the Dirty Water River became the Republican River. The Little Kitkahahki differed from the other Pawnees. In their community life, leadership among the Little Kitkahahki was not determined through royal lineage; a man could rise to leadership by means of reputation alone. In essence, they elected their leaders. But they were not entirely independent of the other Pawnees. Within a few years of the founding of their city on the Dirty Waters, a Chaui royal family and followers took up residence in the city, and now two sets of leaders vied for power in the land of the Little Kitkahahki. During this time, a man who came to be known as Tah-loo-ee-tah was born to a Little Kitkahahki family. His son many years later said that Tah-loo-ee-tah was born “while our people lived at the bend of the Republican river.” We do not know the names of Tah-loo-ee-tah’s parents, but based on family oral tradition, it appears that he was born during the early 1790s. By the early 1820s, Tah-loo-ee-tah became respected as an adult, recognized for his success in war and for capturing horses. A close friend traveled to Washington DC in 1821-1822, and when he returned he bestowed upon Tah-loo-ee-tah a medallion that he had been given. It might have been during the 1820s when Tah-loo-ee-tah married a woman named Chee-ee-hah-lah-wee-ut. They had only one child that we know about, and this was Nah-lee-kee-tah-wee-kah-wah-hah, born sometime between 1828 and 1836. Nah-lee-kee-tah-wee-kah-wah-hah grew up among the Little Kitkahahki, and when the Little Kitkahahki hunted with the other Kitkahahkis, they always camped to the southeast. In the cities and camps of the Kitkahahki, Nah-lee-kee-tah-wee-kah-wah-hah grew up listening to his father’s stories. After he became a man, Nah-lee-kee-tah-wee-kah-wah-hah married a young woman named Stee-lah and they had three children. Their firstborn was a girl, and Nah-lee-kee-tah-wee-kah-wah-hah gave this girl his mother’s name: Chee-ee-hah-lah-wee-ut. Next was born another girl, Stah-hah-tah-loos. The third child was a son, Tah-wee-lah-hee-lah-sah, born about 1870. Nah-lee-kee-tah-wee-kah-wah-hah and Stee-lah and their three children removed to Oklahoma during the mid-1870s. By 1880, Nah-lee-kee-tah-wee-kah-wah-hah had gained a new name: George Shooter. His wife, Stee-lah, was now known as Engal Shooter, and their son became Henry Shooter. The two daughters died during the 1880s; the older daughter – named for George’s mother – died in childbirth. In late 1892 George Shooter’s household consisted of his spouse, Engal Shooter (age 52), their son Henry Shooter (age 21), and George Shooter’s niece, Angie Cooper (age 60). In January 1982 I sat down at the Echo Hawk family home, Out West, near Pawnee, Oklahoma to talk with Owen “Bruce” Echo-Hawk Sr (1914-1986). As the oldest son of Elmer Echo Hawk (1892-1942), and the oldest living grandson of Echo Hawk (1854-1924), Uncle Bruce was then our family elder. A tall man with an erect bearing and soft voice, he was pleased to encourage my interest in Pawnee history and Echo Hawk family history. Among the family oral traditions he shared with me that day in 1982, Uncle Bruce provided an account of the life of Big Spotted Horse. I recorded the narrative on cassette. George Hyde’s history of the Pawnees refers to Big Spotted Horse as a Kitkahahki, born during the late 1830s (The Pawnee Indians, p. 232-234, 237 endnote 104). But Big Spotted Horse has also been identified in Blaine family traditions as Pitahawirata (Martha Blaine, Pawnee Passage 1870-1875, p. 62, 141 footnote). Drawing on the knowledge of Garland Blaine – an authority on Pawnee traditions – this assertion must surely have some basis, but I have not seen the sustaining evidence. In Owen Echo-Hawk’s oral tradition, Big Spotted Horse is said to have been related to Echo Hawk, whose father was Kitkahahki and mother was Chaui, and to Robert Hopkins, whose mother was Kitkahahki and father was Chaui. Neither had any clearly specified Pitahawirata ancestry, but Blaine family oral traditions refer to Robert Hopkins as a cousin of Effie Blaine, a Pitahawirata (Martha Blaine, Some Things Are Not Forgotten, p. 162), suggesting that some kind of intermarriage between their relatives had occurred during the early 1800s. In any case, Big Spotted Horse can most clearly be identified as Kitkahahki. Big Spotted Horse became a young man with an independent streak, caring little for social conventions and authority figures. By the end of the 1860s, dissatisfied with life in the Pawnee homeland in Nebraska, he dwelt for a time among the Wichita in the southern plains. Returning to Pawneeland, he soon announced his preference to move south permanently – an idea that was denounced by the leaders of the Pawnee confederacy. In the late summer of 1873, not long after the massacre of Pawnee hunters by the Sioux, Big Spotted Horse set forth for the south with his friends and their families. During the next two years they were followed by the rest of the Pawnees. Writing several letters in late 1880, the US agent for the Pawnees offered this interesting description of “E-dau-e-ke-da-de-hoo (Spotted Horse)”: “I have a man here, the wildest in the tribe, who is pronounced by Capt Pratt of Carlisle, to be, ‘the best scout he ever saw.’ I think I can make him very useful & help to civilize him.” The agent wished to create a special position for Big Spotted Horse as a “scout” who would help control depredations by neighboring Osages. This plan never came to fruition. Several years later Big Spotted Horse was killed in Kansas, as related in Echo Hawk oral traditions and a newspaper report from 1883. The next year, when the second bunch of Pawnees arrived – I believe in the fall – the Cheyennes were roaming around northern Oklahoma. Our people came down through the Chilocco Reserve, and somewhere up on that prairie north of Ponca City, they met the Cheyennes and made peace with them, exchanging horses and other gifts. Baptiste Bayhylle didn’t want to leave the Pawnee homeland. He was an interpreter, married to Isabelle Bayhylle, and they remained in Nebraska with the last bunch of Pawnees. Old Man Emmet Pearson was also with this group. He was then a young man, and Baptiste Bayhylle was his uncle. When the US government became anxious for our people to leave Nebraska, they supplied Bayhylle with four or five wagons and mule teams, and filled the wagons with axes, hoes, rations, and a variety of Army surplus-type goods. They also gave him a herd of cattle, so that the Pawnees could raise cattle in Oklahoma Indian Territory, and he appointed Emmet Pearson and four other young men to act as herders. One of these boys was a South Band Pawnee named Hukasa, but Old Man Pearson, in later life, could not recall the names of the others. On the day they left, Baptiste Bayhylle said, “All right, we’re leaving our Nebraska land....” And he sent the five young men with a wagon to search among the earthlodges for any people trying to remain behind. One of these young men would go inside the lodges to check them, and they found several old ladies who didn’t want to go. “You must come with us,” the young men would say, “because this isn’t our land anymore, and we’re all moving south.” They would finally persuade the old lady to come out; it was mostly old ladies. And the boys would load their things in the wagon: corn, dried pumpkins, beans, fried meat. It was a slow trip south. So they did. They put up their camps along this narrow stream, beside the beautiful and cool water. There were four or five tents that the Army had given them. One of these was for the five young men, who had been assigned to herd the cattle. Another was put up for a group of old ladies, and one for Bayhylle’s family. They also used one to store their rations and other things. “Oh, we’ll watch them,” they promised. The farmer had a good-sized cornfield, so they put the cattle in their corral on the first night and fixed the gate. But the next morning they woke up to find all the cattle grazing loose in the meadow. Mr. Bayhylle was dismayed, “Whaaah! Boys, did you let the cattle out?” They said no. Well, they didn’t think anything more about it. The boys got on their horses and herded the cows back into the corral. But that evening, Old Man Bayhylle mulled it over. “You know,” he said, “that was the work of a human being. If the cattle were going to escape, they would knock that fence down. And it couldn’t be that farmer... he wouldn’t want our stock.” They were poor, skinny cattle. So that night, Old Man Bayhylle got his gun. Old Man Pearson used to say, “Aka! he sure was a brave young man!” Bayhylle’s family had set up their tent nearest the corral. He took his gun and sat by the trees. Toward morning, here came a fellow walking up from the stream, grunting with disgust, “Huh! Huh!” He went to that gate and started fiddling with it, untying it. All at once, Old Man Bayhylle, sitting there with his gun, spoke up: “Who are you?” He said this in English, but after a moment repeated it in Pawnee. The next morning, Bayhylle called together those five young men. “Boys,” he said, “take down this corral and put it over there. We have built it in the vicinity of a Scalp. He’s a Pawnee, but he’s been scalped and he doesn’t want to come back. He would be too ashamed!” So the boys moved the corral and the cattle. So the next morning, Old Man Bayhylle got up and went to a store there in town to buy those things. This was the third day, and that evening they fixed up another bowl of soup and other food. Kitsahuruksu said, “We Scalps are all living up this stream: Pawnees. We have been living here, and we visit each other all the time.” Each had his own domain. The following day, Old Man Bayhylle said to himself, “I’m going to go find his house. I want to see how he’s got it fixed up.” So he found a faint path and followed it down to the creek. The Scalp had made a dug-out. There was a knoll, and he had dug a hole like a cave. It had a fireplace and a smokehole, just like an earthlodge. He had cut some white sage and had laid it all around in there. He had Pawnee-style mats on the ground. And he had a quilt: a nice quilt for his pad, and a pillow and blanket. Old Man Bayhylle later speculated, “I’ll bet he stole that quilt from the white people.” In the fireplace there was a stick standing up there with a small bucket hanging from it, where he would boil his meat, and the smoke would go up. Baptiste Bayhylle saw how well-prepared this place was, and said, “How nice!” And he stretched out for a moment on the pallet. He laid down and fell fast asleep. This was the fourth night now. The next morning they were leaving. “Nawa, irari!” The Scalp came walking up to Baptiste, who sat there smoking his pipe. He answered, “Irari, sit down. Here’s your food.” Kitsahuruksu sat down and ate in silence; he never would talk and tell stories or laugh while he ate. “We don’t know where we’re going,” said Baptiste Bayhylle, “but we must go.” And so they left that place. When they arrived in Oklahoma, the people were all camped at the Agency – so many people that their camps were spread out even to the Fairgrounds. And that was the end of our journey to the Pawnee Agency. Timothy Ranney, a missionary who spent several years in Nebraska during the 1840s, noted the absence of written texts among the Pawnees and made a presumption that has lingered in the study of Pawnee history: “They have no records, hence no history running back further than the present or last generation.” (See endnote 1) But only ten years after Ranney’s opinion appeared in print, John B. Dunbar published an ethnographic study in which he supported the idea that Pawnee traditions might describe events which were “quite ancient.” (Endnote 2) Since then, researchers have found little agreement concerning the ability of Pawnee tribal historians to preserve verbal records, and the contribution of oral traditions to the study of historical events has consequently been a matter of continuing controversy in Pawnee scholarship. If Pawnee oral traditions indeed concern historical events of such age, how could they have been preserved and handed down? It is important to clarify some of the documented processes by which the ancestors of the Pawnees preserved and handed down stories in order to understand the viability of oral information over time. In the course of his work, which focused primarily on Skidi religion and society, Murie recorded oral texts spanning a great range of extant Pawnee literature, including numerous traditions about Pawnee history. Murie worked with anthropologists such as Alice Fletcher, George Dorsey, Clark Wissler, and Frances Densmore. Other anthropologists followed in their footsteps. Together, these 20th century researchers left an impressive legacy of writings on Pawnee culture and oral traditions. Old men especially are invited for they are going to talk of the Old Village, Kitahaxpakuxtu, and how things used to be and came to be. In the fall was the good time of year to be telling these stories when it's not too cold and not too hot, but just nice to have a fire – after the harvest. When people hear who is invited – old men, chiefs, warriors – they know there is going to be storytelling. These sessions would begin after supper about eight o’clock in the evening and continue on throughout the night. Refreshments would be served from time to time consisting of fried bread, cooked dried apples and coffee. The smell of the bread cooking would be wafted over the village if there was a wind blowing and someone would just follow his nose and come in. Or else he could see the smoke of the fire and would come in. As soon as he got inside they would all say, “Nawa, sit down on any side.” The chiefs were ranged at the west, and on the east along both sides sat the old men. Casual guests sat in the spaces in between. People from the other villages would also hear about it and wander in. Sometimes quite a large group would be gathered there. Once Victory Call served as temporary Agency policeman and when he got an extra sack of flour for his services, he decided to have a storytelling session in his lodge. He sent Horse Rider especially to invite a number of old men: Pipe Offering, That-Chief, Heavy Trophies, Arrived, Warrior (also known as Big Knife, a name also used to refer to white people – a lively raconteur), Know-His-Face, Good-Land, Wonderful Old Buffalo Bull, and Buffalo Ghost – nine in all. Then he was sent to call in some chiefs – Lone Chief of Village-across-a-Ridge and Eagle Chief of Pumpkin-Vine as well as Sitting Hawk and Good Pipe – and braves – War Cry and Bringing Horses. From Bottomlands and Wolf-in-Water villages they would wander in without being invited, knowing what sort of group it was to be. While White Woman was doing the cooking, the old men were telling each other how many different places were calling them in to tell stories. The women would say, “We’re through cooking,” and put the bread and coffee near Victory Call a little off to his right. Now all the women retired to their beds, and as they lay there they would hear the stories. Victory Call addressed his guests by name and kin term and said, “We have a little something here for you to eat. I thought I'd invite you here tonight so that I could see you here. Now this meeting is called simply because I want you folks to tell some old-time stories.” All said, “Nawa,” and Victory Call then turned over the meeting to Lone Chief and Eagle Chief who directed the proceedings from then on. They directed the two errand men to serve the food and by the time they had finished eating it was ten o’clock. Now Eagle Chief spoke, urging Old Man Warrior to begin. But Old Man Warrior parried his suggestion with, “We old men here know how things should be done and the custom is that the leader has to tell the first story. Isn’t that right, That-Chief?” “That’s right,” said That-Chief, “the leader has to tell the story first.” “Well,” said Eagle Chief laughing, “I thought I could get you to do it, but I guess I’ll have to.” “You start it out and we’ll follow,” said the old men. When Eagle Chief began, he opened with a discussion of what sort of a story it ought to be, a long or a short one. “I have stories, but if I tell a war story, it will be a pretty long one. If I tell a story of the Sioux coming on the warpath to attack the village, it will be sort of a short one. If I tell of my trip to Washington, it will be of medium length.” The old men were thinking they would rather have old-time stories so they could reminisce about the past, but someone finally spoke up in favor of a short story and said, “Let’s hear stories about ‘at home’ [the Sioux attacking the village]. After a while we’ll get away from the village and on the warpath.” It was now understood that he would tell a story of attack on the village and that he would be followed by a story on the same theme by his brave, War Cry, after which the old men would begin. In both stories, the enemy was repulsed, not by main force alone, but by the power of the Peace Pipe, which is “beloved of Heaven.” * * * * Now the real session that they had all been waiting for would begin and continue all night. First Old-Man-That-Chief and then the others told real old time stories. For the most part they described their experiences as they moved from place to place abroad in the land in times past. With vivid imagery and detail they described each location and its events. It was in just such a meeting right after they returned from the winter hunt, after the warriors and chiefs had told their stories that the old men would take up the question of the calendar and whether they needed to introduce the thirteenth intercalary month that year. Warrior would tell an old war story and also That-Chief and then Good-Land would begin to speak of what year it is. * * * * ...[I]t should be clear that the storytelling session was not a mere leisure pastime. Through it was transmitted history, climatology, theology, the logistics of war, topography, and many other important facets of Pawnee knowledge. Such a session was an invaluable preamble to setting out on the winter hunt. These gatherings were common events in 19th century Pawnee communities, and they were important occasions for the dissemination of Pawnee traditions. The sessions operated as structured social events of some significance, open to all ages. We might presume that such activities existed in some form in ancient times and were passed down over many generations into the 19th century. Pawnee elders of the 1860s had grown up hearing the stories of men who themselves had been born as early as the mid-1700s. Pawnee ceremonial life during the 19th and 20th centuries involved the transmission of a rich lyric literature and associated narrative traditions. Public storytelling sessions of the kind described in the preceding section tended to emphasize the personal experiences of the storytellers. Religious ceremonies, in contrast, provided appropriate occasions for the dissemination of traditions about more ancient historical events. The story of human creation was an important subject of traditions associated with some Pawnee ceremonies. Weltfish’s description of ceremonialism associated with the Skidi leader’s council, for example, emphasized the sharing of traditions about ancient history: “...the most important part of the ceremony was held. They would smoke the pipe and talk of creation.” (Endnote 29) The formal discussion of oral traditions about human origins and ancient historical events gave the leaders of the Pawnees a sense of order and common purpose. Through their creation stories, the Pawnee leaders connected their proceedings to an inherited legacy of historical knowledge about lifeways extending from the most remote genesis of the universe. With this perspective, the leaders of the Pawnees conducted public affairs and sought to discharge their responsibilities as caretakers of family and community well-being. In 19th century Pawnee towns, narratives of ancient history served as potent articulations of social identity, preserving shared visions of human destiny among successive generations of Pawnee leaders. The ongoing formation of political systems intersected with religious ceremonialism to create social contexts in which certain narratives endured and helped to shape a “Pawnee” cultural heritage. The Skidi Pawnee political system was founded long ago by a Skidi leader named Closed Man, who united a number of dispersed Skidi communities and created a federation by organizing existing Caddoan bundle ceremonies into an integrated system of related rituals. (Endnote 30) In the time of Closed Man, Skidi society was probably dominated by small kin groups who found communal unity in the history of their inherited sacred bundles and ceremonial activities. Ordinarily, a man taught his successor largely by demonstration. That is, the apprentice took part in the actual demonstrations of the ritual, watching what went on. In the course of the procedure, his master explained details. As the teacher found his pupil mastering phases of the activity, he turned over to the pupil such parts of the ritual, performance, etc., as he found were understood. In this way, as a rule, a man learned all of another’s teachings only if the teacher lived to be an old man. In fact, the Pawnee conception was that as a man taught what he knew he gave up part of his life, and that when he had given over all his teachings, he would die. Hence the old and learned always held back something until they were ready to die. If a priest or medicine man died, what he had not taught to his successor was lost. Usually, when an old man knew he was on his deathbed, and valued his learning and his apprentice, he called the apprentice in, and in dying whispers told him the essentials of what he had not before that time communicated. * * * * The important point to remember in this is that in old Pawnee ideology what of traditional learning was lost through death was lost beyond recovery. There was no sanction for carrying out any ritual, other than that the one who attempted to carry it out had learned about it from the man who formerly had controlled it and demonstrated it. Much of this “cultural forgetting” occurred with the deaths of persons entitled by hereditary right to control a given set of texts. In some cases, however, other members of the community could remember “forgotten” texts from occasions in which they were shared by the owners. The Pawnees at the end of the 19th century did not regard information lost through death as completely forgotten and forever “beyond recovery,” since the dead took their knowledge of traditions and ceremonies with them into Spirit Land. (Endnote 40) Lesser notes that the Pawnee Ghost Dance gave living Pawnees access to the religious knowledge of the dead and helped to bring about a revival of Pawnee ceremonialism during the 1890s. Murie recorded a 1911 ceremony in which tobacco offerings were made to the spirits of dead Pawnee doctors: “The dead doctors have received our smoke offering; they will come to us in our ceremonies and will help us remember how to carry them on.” (Endnote 41) The “forgotten” ceremonies and traditions of the living Pawnee community passed over with the dead into Spirit Land, enduring there in a timeless world. A great variety of forms of storytelling took place among the Pawnees during the 19th century. Family elders told stories and sought to pass along information on family history to younger relatives, and more formal activities existed for the telling of fictional stories and important historical narratives. Until the 20th century Pawnee oral traditions served as the primary mechanism for preserving the history and cultural heritage of the Pawnee people, offering an elaborate discourse on the circumstances of human existence from very remote times to envisioned human destiny. Every society attempts to maintain records about past events, and the Pawnee people are the heirs of a meaningful oral and written literature about their history and the doings of their ancestors in North America. They found frequent occasions to share their traditions in both public and restricted forums, and storytelling was of fundamental importance to Pawnee society. It would be difficult to estimate the antiquity of Pawnee forms of storytelling, though it may be possible to suggest the age of some of the events described in specific traditions. The chronological framework of Pawnee historical traditions conceptualizes a changing cultural landscape over time, extending back to the origins of humanity, but cultural change did not inevitably prevent the preservation of oral texts. While determinations of the possible antiquity of some of the events described in Pawnee oral traditions can be made through comparisons with archeological data, definitive answers to questions about the social mechanisms which explain the persistence of verbal literature may be more elusive. It is possible, nevertheless, to argue that some of the major 19th century Pawnee social conventions for the formal transmission of certain communal oral texts evolved from cultural institutions pertaining to sacred bundles. These conventions required the preservation of stories by qualified historians. It is arguable that formal social aspects of this system took shape during the centuries after 1000 CE. The priests of the Pawnee world transmitted important information across many generations into the present, preserving traditions about historical events. The social transmission of both texts and contexts drew upon an ongoing heritage of conventions that sustained and influenced the durability of oral information. For this reason, careful comparison of Pawnee oral traditions with archeological evidence and other data can reveal meaningful insights into the history of ancient America. Timothy E. Ranney, “On the Character and Customs of the Pawnees,” Archives of Science and Transactions of the Orleans County Society of Natural Sciences, volume 1, # 1, October 1870:3-17, Newport, Vermont: Orleans County Society of Natural Sciences, quote on p. 15. John B. Dunbar, “The Pawnee Indians: Their History and Ethnology,” Magazine of American History, volume 4, # 4, April 1880:241-281, quote on p. 244, also see 251-254. Dunbar was a son of another missionary among the Pawnees during the 1830s and 1840s. R. Echo-Hawk, “Forging a New Ancient History for Native America,” in Native Americans and Archeologists: Stepping Stones to Common Ground, edited by Nina Swidler, Kurt Dongoske, Alan Downer, and Roger Anyon, Society for American Archaeology and AltaMira Press, April 1997, p. 88-102 (see p. 96-100); R. Echo-Hawk, Discovering Ancient Worlds: Final Report of the Archeological Monitor for the New Denver Airport Office, March 1992 report for the City and County of Denver; R. Echo-Hawk, “Ancient Pawnee History: A Brief Survey of Caddoan Traditional Evidence Regarding Pawnee Ancestry in the Central Plains,” December 1990 report prepared for the Native American Rights Fund and the Pawnee Tribe. R. Echo-Hawk, Kara Katit Pakutu: Exploring the Origins of Native America in Anthropology and Oral Traditions, Master of Arts Thesis, Department of History, University of Colorado, November 1994; R. Echo-Hawk, “Ancient History in the New World: Integrating Oral Traditions and the Archaeological Record in Deep Time,” American Antiquity, volume 65, # 2, April 2000:267-290. R. Echo-Hawk, “Forging a New Ancient History for Native America,” in Native Americans and Archeologists: Stepping Stones to Common Ground, edited by Nina Swidler, Kurt Dongoske, Alan Downer, and Roger Anyon, Society for American Archaeology and AltaMira Press, April 1997, p. 88-102. See page 90 for discussion on the potential durability of information about human procreation and mortality. In 1986 Charles G. Shunatona, a Skidi, described James R. Murie to me as a “crook” due to his handling of Pawnee sacred bundles. I heard this same story some years later from an Echo Hawk family elder who said Murie was remembered among the Pawnees as “The Thief.” Murie’s scholarship on Pawnee culture created a monumental legacy of important writings, but a comprehensive analysis of his handling of Pawnee bundles has yet to be done. Martha Blaine’s assessment of Murie is unflattering. She presents a letter he wrote to the Pawnee agent in December 1891 about the Pawnee Ghost Dance, and she concludes that it “seems self-serving and disloyal to his family and other Pawnees” (Blaine, Some Things Are Not Forgotten, 1997, p. 62-64). In the letter, Murie framed his concerns in terms of competing Christian ideologies, with his brand of Christian ideology in competition with Ghost Dance Christianity. Blaine makes nothing of Murie’s effort to convince the Pawnee agent to deal with the situation as a religious problem, urging the agent to “forgive the sins of my people[. ]” Murie knew that this was an agent who had the power to do to the Pawnees what had been done to the Lakota Ghost Dancers at Wounded Knee only a year earlier. Murie took great pride in his Skidi Pawnee identity; his relationship to Pawnee community life is not readily reducible to convenient labeling. Gene Weltfish, The Lost Universe: Pawnee Life and Culture, 1965, Lincoln: University of Nebraska Press, p. 352-360. Quoting from Weltfish, I have not included three stories told by Eagle Chief, War Cry, and Shot Arm. Timothy Ranney, a missionary to the Pawnees during the 1840s wrote a fascinating description of storytelling conventions relating to feasts: “Feasting is a great institution with them and when they have plenty, is indulged in to great excess. A friend who had been with them several years remarked, that he had been called up after retiring for the night, and invited to attend a large number of feasts. The food is dealt out unsparingly when it is plenty. Dried meat of the buffalo is the most common entertainment at these feasts; it is dried without salt, and is eaten without or sometimes with boiling. When eaten without they generally supply a piece of lean and a piece of fat to be eaten together like bread and butter, and all the guests are expected to eat or carry away all that is set before them. If perchance any thing is left behind it will be sent after them to their home. At these feasts they are sociable, and call for speakers as do more civilized men” (Ranney 1870:10). Also see Samuel Allis, “Forty Years Among the Indians and on the Eastern Borders of Nebraska,” Transactions and Reports of the Nebraska State Historical Society, volume II, 1887:137-139. Allis, another missionary of the 1830s and 1840s, noted the popularity of feasting among the Skidi Pawnees (p. 140): “They are great for feasting. I have often been called to twenty or thirty feasts in one day, perhaps that is the cause of my being such a great eater. I acquired the habit while with them on their hunts.” Also see the memoir of another missionary of the same era, John Dunbar, “Missionary Life Among the Pawnee,” Collections of the Nebraska State Historical Society, volume XVI, 1911:275. Compare with Luther North’s comment describing a visit with a Skidi chief in the early 1870s: “I had supper with Eagle Chief and we sat up until nearly morning talking” (Donald Danker, editor, Man of the Plains: Recollections of Luther North, 1856 - 1882, 1961, University of Nebraska Press, p. 169). Pawnee Agency records, AF 339: November 13, 1914 testimony of John Buffalo, p. 38, 40. Pawnee Agency records, AF 339: November 13, 1914 testimony of Kate Lockley, p. 88. Pawnee Agency records, AF 339: November 18, 1914 testimony of Lizzie Washington Box, p. 138. Pawnee Agency records, AF 339: November 13, 1914 testimony of James R. Murie, p. 147; also see p. 153-154 where he states that the story was obtained for the Carnegie Institution, presumably for George Dorsey. According to Murie the prophet was middle-aged when he died at “what is known as the old Skedee village” (p. 147). Murie claimed that he first heard about this prophet from a man named Simon Smith in 1886 (p. 148). “Well-Fed-Captured-Girl” or “Well-Fed-Captured-Woman” is described as the wife of White Eagle. White Eagle was married to Martha White Eagle as early as 1866, when their daughter, Mary Peters Weeks, was born; Martha died about 1901 (Pawnee Agency, Realty Office, Allotment Folder # 49, October 15, 1923 testimony of Mary Weeks). White Eagle’s next wife, Julia Adams, was born about 1877 and died in 1906, and was a sister-in-law to Simond Adams (Oklahoma Historical Society, Indian Archives Division, Roll Pawnee Agency 51, Frame 54; also Frame 156). 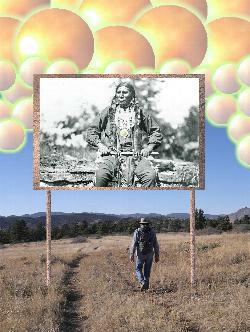 The name probably originated in 1873, when the Sioux captured a group of Pawnee women at Massacre Canyon. If so, then Martha White Eagle was probably the wife who held the name Well-Fed-Captured-Woman. For other stories about the origin of corn cultivation see George Dorsey [and James R. Murie], The Pawnee Mythology, 1906, Carnegie Institution, reprint 1997 by University of Nebraska Press, p. 95-102; Grinnell 1961 ed:353; Gene Weltfish, Caddoan Texts: Pawnee, South Band Dialect, 1974 , New York: AMS Press, p. 82-87; George Dorsey and James R. Murie, Field Notes, Material Culture “The Mythology of the Pawnee” (Field Museum of Natural History, Chicago): p. 1/100. John B. Dunbar, “The Pawnee Indians: Their Habits and Customs,” Magazine of American History, volume 8 (part II), # 11, 1882:746. Owen Echo-Hawk interview with author, January 2, 1982, at the Echo Hawk family home Out West, near Pawnee, Oklahoma, p. 4. I recall visiting [circa 1960] my grandfather, George Echo Hawk, at the family home west of Pawnee, Oklahoma, and playing with my cousins while a group of elders were gathered in the living room talking together in the Pawnee language. Perhaps this was the sort of storytelling occasion mentioned by Owen Echo-Hawk. We were told by adults to be quiet in the presence of elders, and to not interrupt their discussions. The book was George Bird Grinnell, Two Great Scouts and Their Pawnee Battalion: The Experiences of Frank J. North and Luther H. North, 1973 , University of Nebraska Press, p. 271 for a description of a group of Pawnee Scouts tying handkerchiefs around their heads (to identify themselves as Pawnees) for a special mission during an 1876 battle with the Cheyennes. Dorsey/Murie 1906:8; Dorsey’s “Introduction” draws from information provided by Murie. Dorsey in Dorsey/Murie 1906:13, also see footnote 1. Dorsey/Murie 1906:13 footnote 1, also see p. 21 footnote 1. Dorsey/Murie 1906:104 footnote 1, note to “Buffalo Gaming Sticks,” told by White Eagle, a Skidi. Weltfish 1965:134, also see p. 201-202, 260, 261. Dorsey/Murie 1904:3-14 “Dispersion of the Gods and the First People,” told by Roaming Scout, a Skidi priest. Larry J. Zimmerman, “Archaeological Evidence and Pawnee Claims for Human Remains and Burial Offerings in the Central Plains,” December 1990 report prepared for the Native American Rights Fund and the Pawnee Tribe; Donna C. Roper, Historical Processes and the Development of Social Identity: An Evaluation of Pawnee Ancestry, , report prepared for the Repatriation Office, National Museum of Natural History, Smithsonian Institution, Washington, DC. Dorsey/Murie 1906:123-124, “The Poor Boy and the Mud Pony,” told by Little Chief. Martha Royce Blaine, Pawnee Passage: 1870-1875, 1990, Norman: University of Oklahoma Press, p. 49. 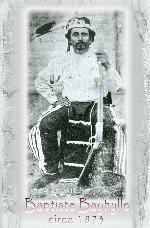 The story says that the last keeper of the ceremonial dance and associated songs was Sun Chief, who died in 1887. Sun Chief actually died in 1895 at about age 63 (Pawnee Agency, Realty Office, Allotment Folder 462 Sun Chief, March 6, 1914 “Report on Heirship”); he probably inherited the dance from his father, Pitaresaru, who died in 1874. George Dorsey and James R. Murie, Field Notes, Box A-2, Material Culture “Ceremonies” (Anthropology Archives, Field Museum of Natural History, Chicago, Illinois). Alexander Lesser, “Cultural Significance of the Ghost Dance,” American Anthropologist, volume 35, 1933:110. See Weltfish 1965:272-273 for mention of apprentices. Dorsey/Murie 1904:xxii-xxiii. Dorsey’s “Introduction” draws extensively from information provided by Murie. Dorsey/Murie 1904:343 endnote 135 (to page 79).